The Cancun area has a reputation for not being the “real” Mexico, and it’s true that the area is home to many chain resorts and restaurants, but this region, the Yucatan Peninsula is also rich with ancient Mayan history. At Hacienda Tres Rios, we like to combine the modern with the traditional, to create experiences that combine Mexico’s future with its past. Our Temazcal experience does just that. 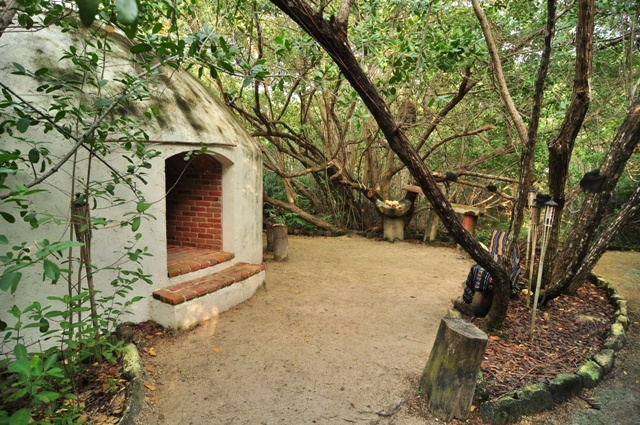 Temazcal is an ancient steam bath that has been used for relaxation, healing and purification purposes for thousands of years by Mayans and other Mesoamerican and North American (sweat lodge) civilizations. Hacienda Tres Rios is one of the few resorts in the Riviera Maya that offers Temazcal and its therapeutic and curative benefits to our guests. The name temazcal is derived from Nahuatl word temāzcalli (house of heat) or possibly from the Aztec teme (to bathe) and calli (house). The ritual ceremony is performed by a shaman in an authentic sweat house. Steam is produced by pouring hot water over heated rocks in a pit and natural herbs are used to purify participants. Our experience ends with an optional dip a cool, clear cenote. It is important to note that the Temazcal experience is only available on Tuesdays. The cost is 90 usd per person. Right now we are offering the Memorable Experiences package which includes the Temazcal experience and the Chef’s Table dinner for two. Experience an ancient Mayan ritual during your next Riviera Maya vacation. Hello. Fees to stay or fees for temazcal?